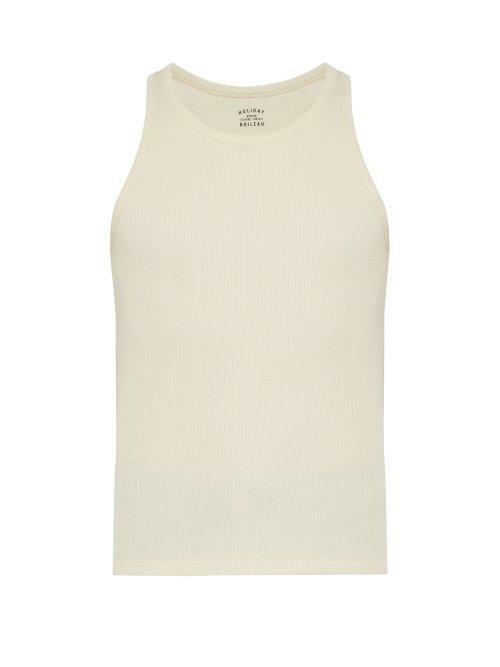 Holiday Boileau - Holiday Boileau's tank top is designed in muted cream, making it the ideal base for playfully printed warm-weather shirts. It's crafted from a soft cotton blend with a hint of stretch to hug the torso and a comfortable ribbed construction. Fits true to size.